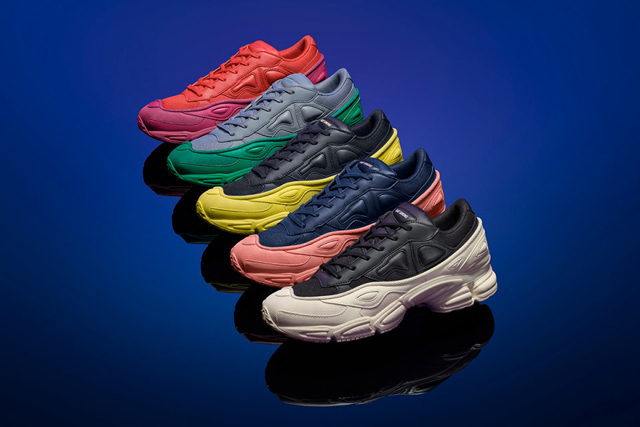 We're drooling over the Adidas x Raf Simons collab! Designer collaborations with Adidas seem to be a dime a dozen these days, but Raf Simons was one of the first to team up with the Three Stripes. 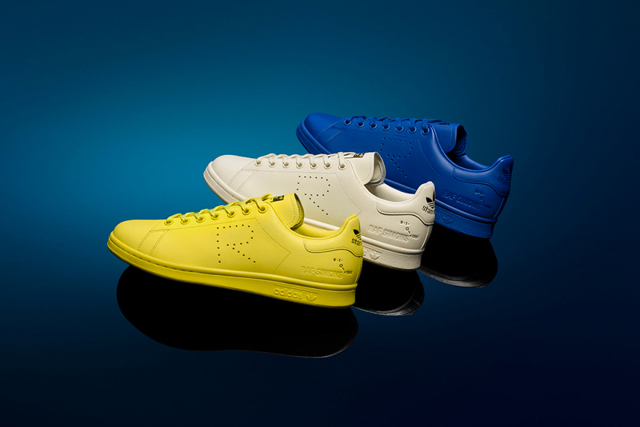 The result was a collaboration that would endure to this day and even produce a few of its own memorable models, including the Raf Simons Ozweego (which was way ahead of its time and pivotal to the rise of fashion's fascination with the contemporary "ugly" sneaker), and the Raf Simons Stan Smith (the designer's take on the classic Adidas model). The Raf Simons Ozweego was way ahead of the "ugly sneaker" trend, and it's still going strong. 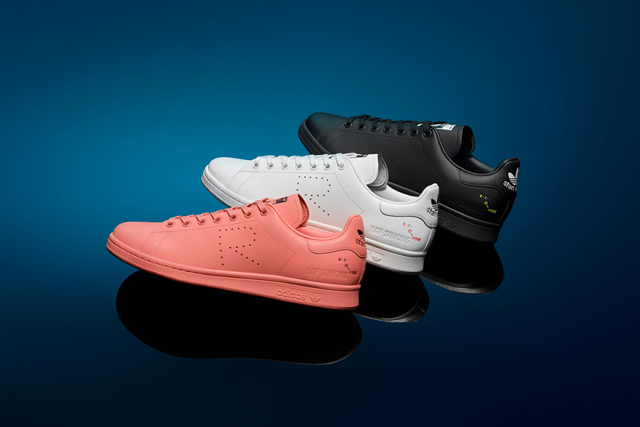 The Raf Simons Stan Smiths are an upscale (and pricier) version of the Adidas classic, with an "R" in place of the perforated three stripes, and the designer's name debossed on the heel. 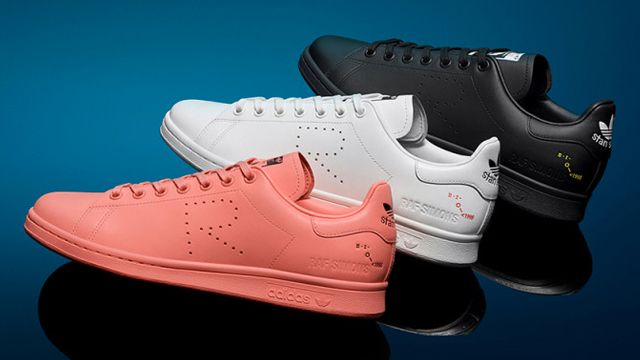 The latest iteration of Raf Simons' Adidas collaboration sees a fresh array of colors for the Stan Smith, done in the usual extra-premium leather. 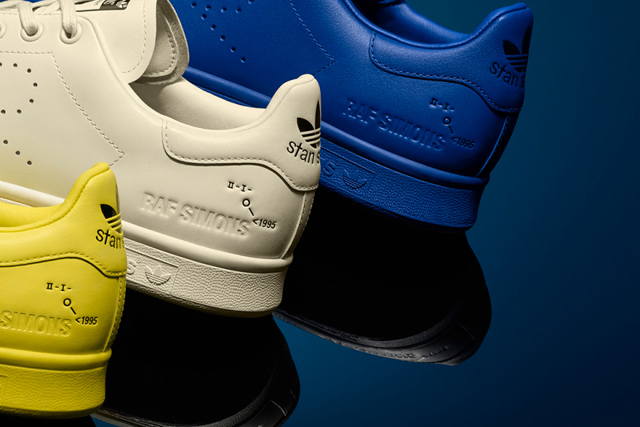 This latest drop also features a new chemical graphic, not seen in previous Raf Simons Stan Smiths. The chemical equation graphic on the Stan Smith's heel references the year that Raf Simons' designer label was born: 1995. Meanwhile, the Ozweego has the familiar mudguard layer, but in an interesting new mix of colors. The Raf Simons x Adidas Originals Fall/Winter 2018 Collection is now available at Commonwealth, Greenbelt 5.